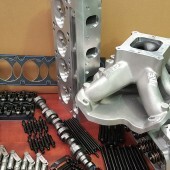 CHI top end kits contain the major components needed to ensure your engine build or freshen up performs the way you want it to. Some of the products are custom made for CHI by other manufacturers and others are “off the shelf” items. 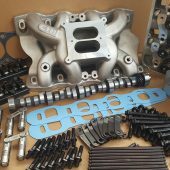 Kits include: Cylinder heads, Intake manifold, Roller camshaft, Tie bar lifters, Roller Rockers, Push rods, Guide plates, top end Gaskets and Studs. 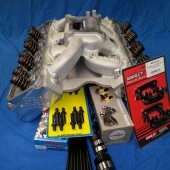 All CHI top end kits are combinations that have been dyno tested and proven to perform. We use only the best quality components.